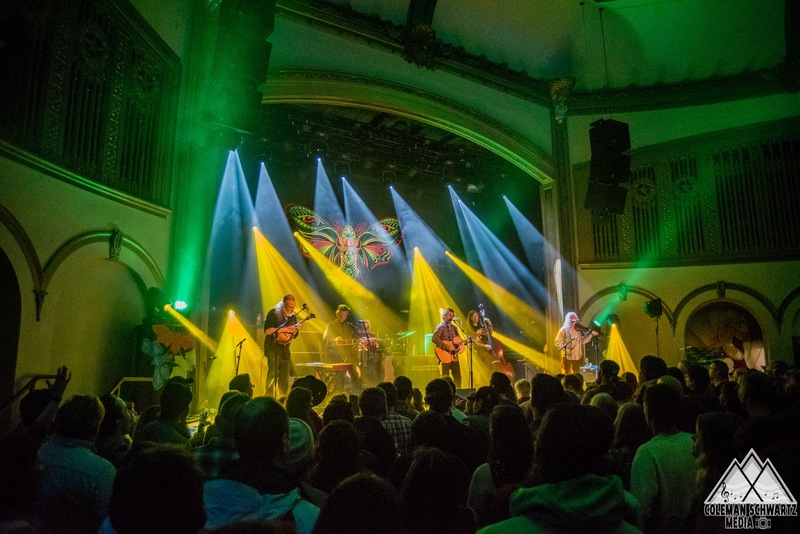 Rounding out a tour schedule that put them on stage for eleven out of thirteen nights to begin 2018, Railroad Earth’s dedication to both their fans and their art shined through as the band’s bus was ravaged by the flu. One by one, from tour manager to bassist, nearly everyone was affected by the illness, although you would’ve never known from their performance. Six wonderful sets of music over three nights, in two cities, with zero excuses or mentions of illness. Sheer professionalism. 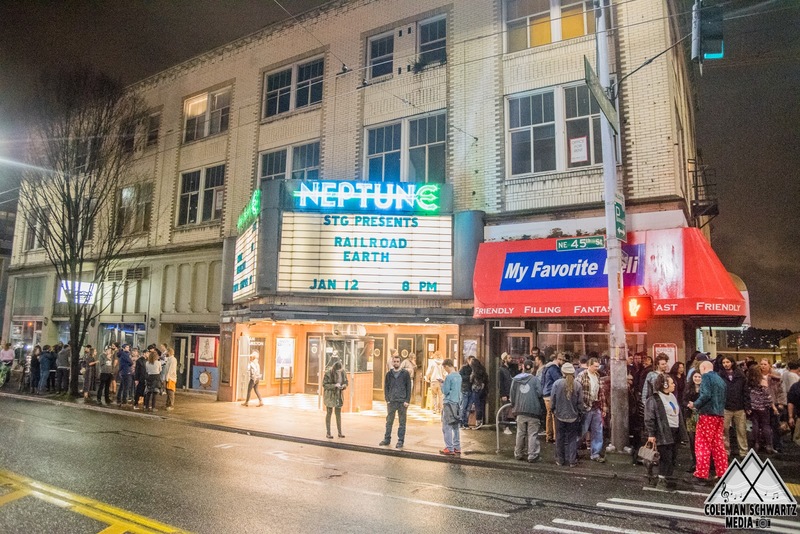 The nearly 100 year-old Neptune Theatre is a gorgeous 800-seat venue in Seattle’s University District. Marble finishes and statues of Neptune are prominent throughout the venue, just like the great sight-lines which can found in either the seated balcony or the tiered floor. It was on that tiered floor in which my night began, with a hefty “Seven Story Mountain” getting the ball rolling on night one. Typically an emotional and pretty jam, this version of the song turned dark several minutes in as bassist Andrew Altman pulled out his bow and created a dark texture with his upright bass that led the instrumental segment down into the abyss before returning to the hopeful jam that Hobos have come to expect from the tune. With that being said, it was the hauntingly beautiful “Mourning Flies” that proved to be the highlight of the set for me. 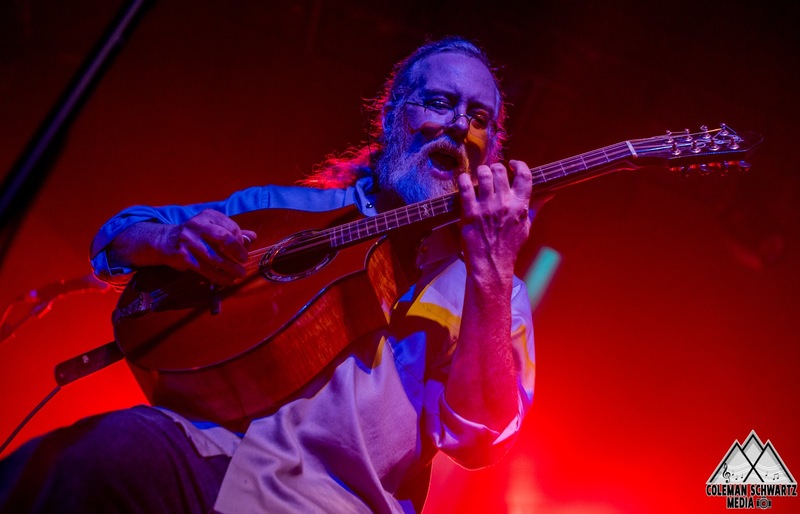 The ominous instrumentation and matching narration of this song’s verses will rattle you to your core just before the buoyant chorus pulls you back up onto your feet and into a magnificent John Skehan mandolin solo. The rest of the show just seemed to continue to dig deeper into the band’s history. 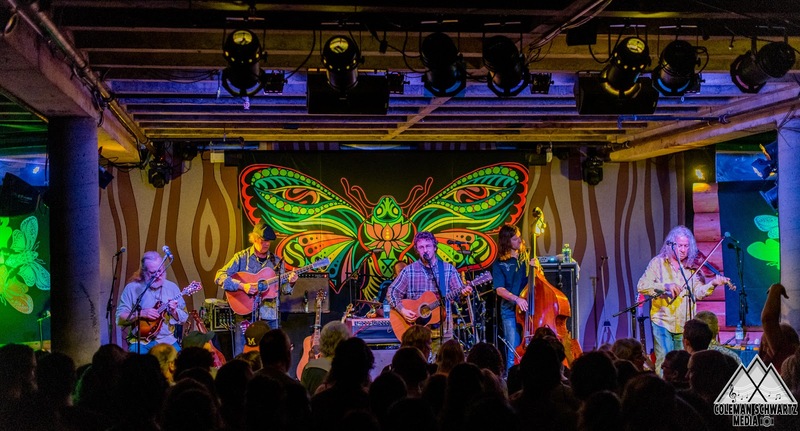 Fan-favorite and Railroad rarity, “Butterfly and the Tree” kicked off a segment that included “Dance Around Molly,” “Dandelion Wine,” “Stillwater Getaway,” and “Elko,” before “Chasin’ a Rainbow” brought both the stretch of old songs and the set to an end. Another oldie, this time “Old Man and the Land” from Shaeffer’s old band, From Good Homes, was the encore choice. Afterwards, it was off to Aladdin Falafel Corner for a quick U-District gyro and back to Portland to sleep in my own bed and wake up for two nights of Railroad Earth in my lovely, rain-drenched city. 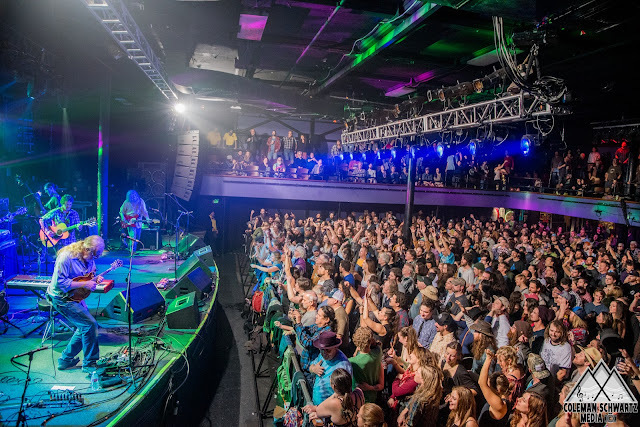 The hype and excitement were both high for the band’s first shows in Portland since New Year’s Eve 2016. 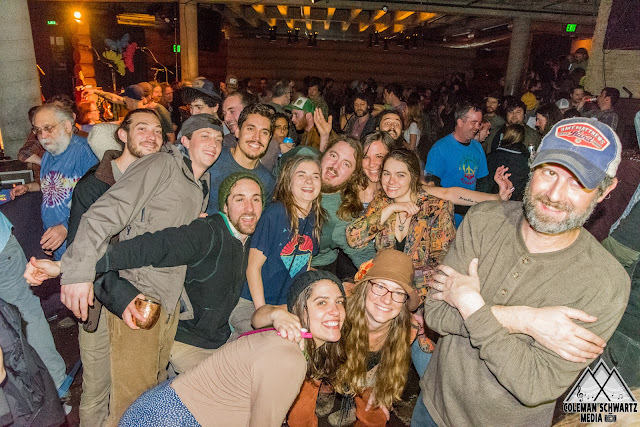 Saturday night’s Roseland Theater show was one thing, but Sunday’s intimate billing at the 300-person Doug Fir Lounge left people counting down the days and desperately seeking tickets for weeks beforehand. 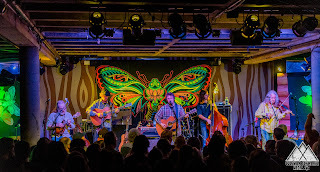 Skehan’s instrumental “Farewell to Isinglass” segued into the emotional “Grandfather Mountain” before one of my favorite tracks off of their recent EP, Captain Nowhere, “Blazin’ a Trail” closed out the set. The vivacious Saturday night vibe continued through the second set, opening with the rock & roll “Monkey” and exploding into a monstrous “Warhead Boogie” > “Mighty River” segment. Another Skehan instrumental, this time the relatively new “The Berkeley Flash” segued into “The Forecast,” a favorite from the very first time I found this band that still rings true to this day. 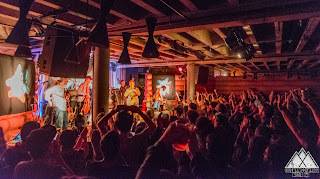 After they finally slowed things down for a second with “Captain Nowhere,” Andy Goessling’s saxophone came back out for a cover of Muddy Waters’ “I Just Want to Make Love to You” featuring Fruition’s Mimi Naja on vocals. One of the band’s heavy-hitters, “Like a Buddha,” closed out the second set and was the most impressive jam of a very impressive set. “Storms,” one of the best songs Shaeffer has written in my opinion, popped up in the encore slot and most folks left either ecstatic for what the next night may hold or devising a plan on how the hell they were going to get a ticket. * First time played, written by Willie Dixon, lead vocals by Mimi Naja. By this point it’s day three and the effects are beginning to show. People are passed out throughout my house, most of whom I know, and some are still alive from night one. Those people shall remain nameless. All in all, things are in good shape and it’s nothing some brunch and a mimosa or few won’t fix. Sunday’s show was earlier than the rest, and paired with the fact that Monday was Martin Luther King Jr. Day and most had the day off, the crowd was in weekend form. The venue was surprisingly roomy for a long sold-out show and proved to be even more enjoyable than already expected for the award-winning space. Andrew Altman’s “Only by the Light,” another of my favorites off of the new EP, initiated what was my favorite segment of the first set as the instrumental “Carrying Coal to Newcastle” led into the old-school fan-favorite “Black Bear.” While that may have been my favorite segment, my favorite moment of the set was hearing all 300 people in the tiny bar sing along at the top of their lungs during the set-closing “Long Way to Go,” even louder than Shaeffer’s vocals at points. It was at this point that the show set itself apart from the rest. Bob Dylan’s “Rambling, Gambling Willie” (played once before), two energetic jams in “Black Elk Speaks” and “Birds of America,” the wild and elusive “I am a Mess” (played eleven times since 2011), “Peggy-O” (played fifteen times ever), and an even more unexpected encore of “Waggin’ the Dog” (played once since 2010) rounded out the remainder of what became one for the books to any knowledgeable Hobo. “I am a Mess” brought the funky, twangy explosion I’ve always wanted to hear from that song and featured, once again, Mimi Naja, this time on guitar as she dueled at times with both Shaeffer and violinist Tim Carbone. The “Peggy-O” was without a doubt the most beautiful moment of the weekend and to follow it up with a “Waggin’ the Dog” encore, well, I just couldn’t have asked for much more to close out one of the most hyped up shows I remember around the Portland jam scene in a long time. 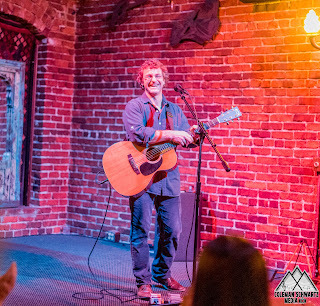 What has become a Portland tradition, Todd Shaeffer once again followed up the city’s Railroad Earth run with an even more intimate affair at a 113 year-old bar called the White Eagle. While most are haggard by this point in the run, this show requires no more than finding your seat, sitting down, and waiting for the meal you ordered as Shaeffer serenades you. 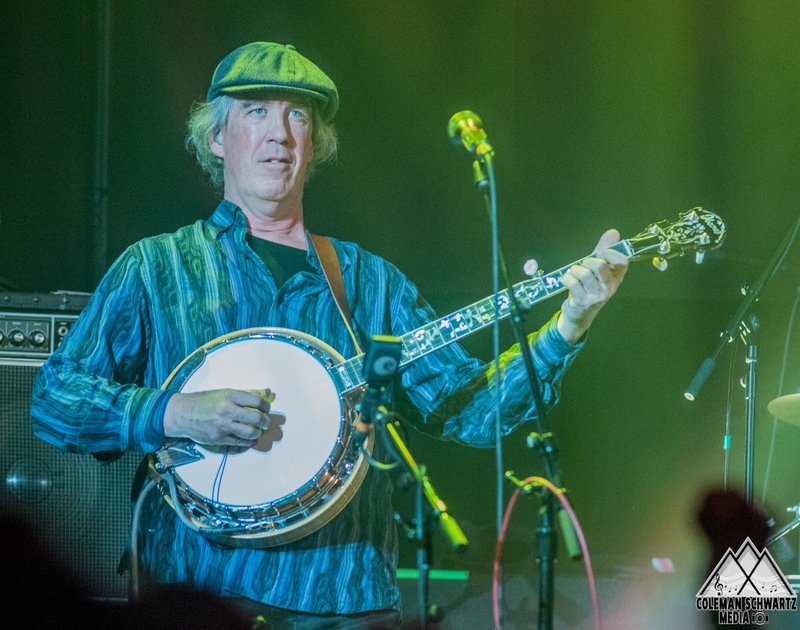 One of his oldest tunes, “Where Songs Begin,” started the evening and set the tone for what was a delightfully mellow set. Railroad favorites like “The Good Life,” “‘Neath the Stars,” and “Day on the Sand” were sprinkled in amongst old From Good Homes songs and covers. Shaeffer is one of the more captivating solo singer-songwriters I’ve ever seen. I can’t recall ever having one person make two hours go by so fast and at one point, I noticed that he was playing harmonica, rhythm guitar, bass (on guitar), and percussion (also on guitar), all at once. He somehow even makes one of Railroad’s songs, “Hard Livin’,” sound better and more full by himself than it does with the band. 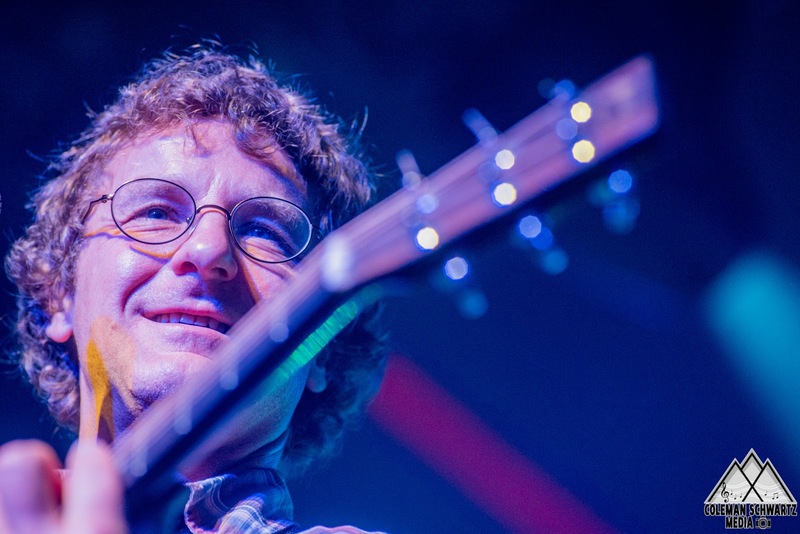 His storytelling proved to be just as captivating as his playing. Some funny, some sad, and all interesting. Near the end of his set, after one fan request, he noted that it seemed to go better that way than when he picked the songs so from that point on he played by request. The now fan-chosen set culminated in another version of “Jupiter and the 119,” this one even more special than the last as the crowd who had been silent and still up until then, enthralled by the music, began to stomp the drum beat to the song and stand up to sing along for a very fitting and meaningful end to an unforgettable weekend.